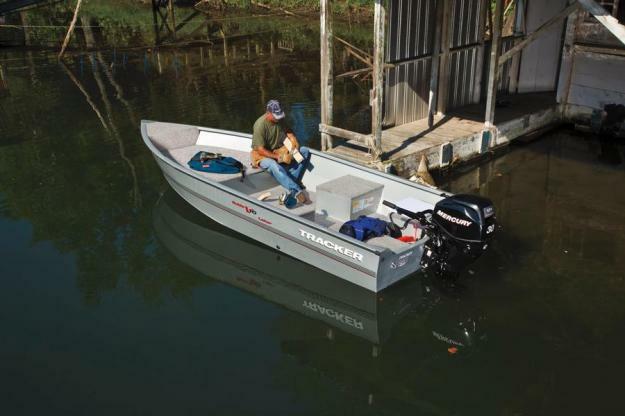 The TRACKER® Guide V-16 Laker is our only ALL-WELDED aluminum Deep V utility boat. One of the most heavy-duty boats in its size class, it’s constructed of tough .100 5052 marine alloy—just like our top-of-the-line Deep V boats. Onboard you'll find carpeted raised fishing decks fore and aft (which double as seats)—with a base for an optional fishing seat on the bow deck. Midship, there are two carpeted boxes which can be used as seats as well. The port box features a livewell below, and the starboard box has storage below. Over the years you’ll own it, its ALL WELDED, unitized construction means there’s nothing to loosen or leak. 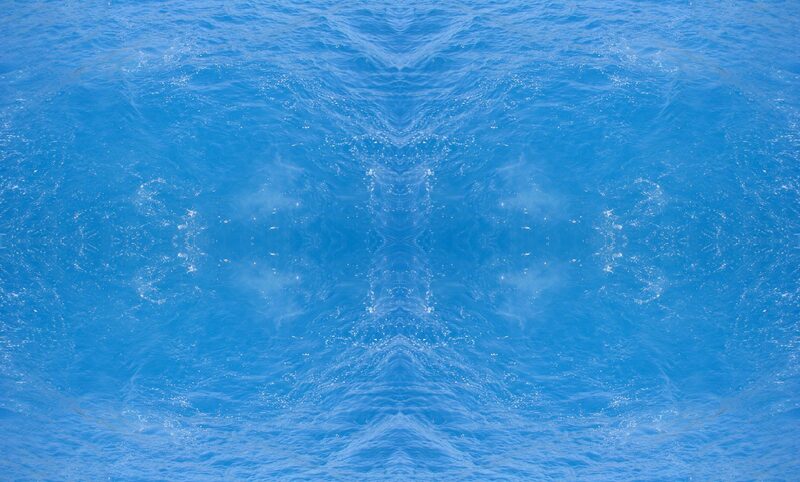 In fact, it's so tough, it comes with a FIVE-YEAR structural limited hull warranty. Measuring in at 16' (4.88 m) and with a wide 76" (1.93 m) beam, the Guide V-16 Laker is also the largest Deep V utility we make. As a great fishing, hunting and work partner, it has a maximum weight capacity of 1,200 pounds (544.31 kg). And the sharp V hull is designed to slice through waves and chop for a smooth, dry ride. 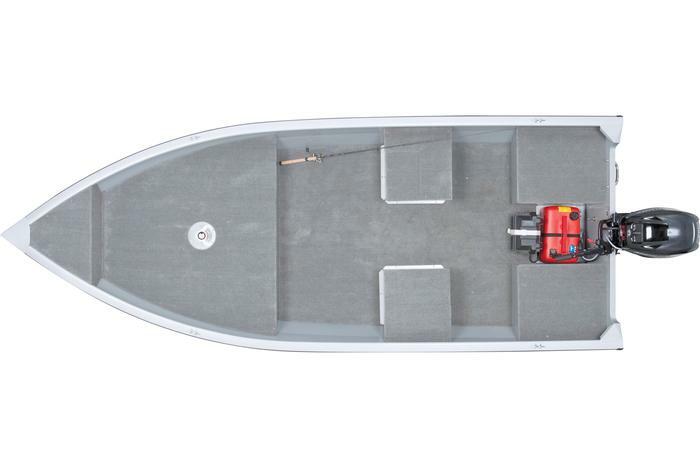 The Guide V-16 Laker can accept up to a 40 horsepower tiller motor. Easy and lightweight to tow, it may be ordered with an optional factory-matched trailer. Max. Person Weight 750 Lbs. We sell all models of Mercury Outboard Motors, and have a large in-store inventory.